In the near future, Mankind gets to know that Earth becomes a troublesome place to live on and they need to move to another, friendlier planet to live on. 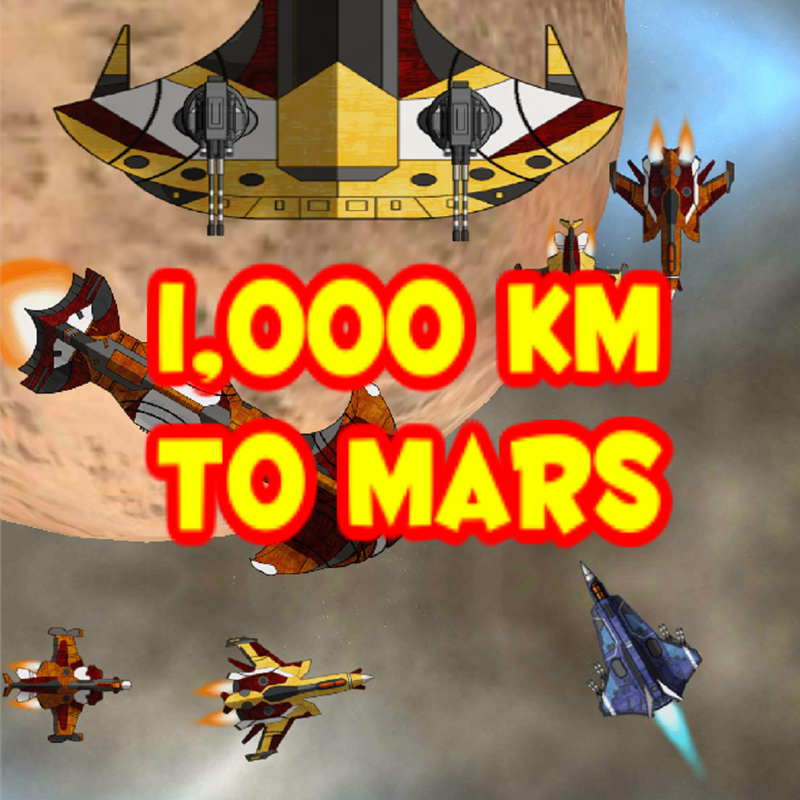 You are in control of the first ship of settlers, and you have only 1000 km to go until you reach Mars’s surface. Suddenly, the enemies start attacking. Defeat all enemies and provide a safe travelling experience for your passengers! 1) + Items allow you to recover from damages with + 2. 2) The heart symbol allows you to recover + 3 health. 3) Regular missile item allows you to fire one more missile each time. 4) Red missile is twice as strong as regular missiles and it even pierces through enemies. 6) The shield item protects you for 15 seconds. 7) x2 item speeds up the gameplay, making it twice as fast for a short period. 8) x5 item speeds up the gameplay, making it five times as fast for a short period. 1) The spaceship can withstand attacks 6 times. 2) The red missile that comes from enemies is twice as strong than any other regular attack. Just touch the spaceship and move it left or right.